For the International Vocal Competition 2016 I was asked to write the compulsory work, that all participants have to prepare. The text (translated into Latin) was taken from the Poem 'Bosch en Breugel' by Dutch poet Pé Hawinkels who found his inspiration in the Jheronimus Bosch Painting 'Garden of earthly Delights'. Dutch composers Society Nieuw Geneco and Donemus initiated Compose4you, where anyone can order a composition for any occassion. I was one of the first and was asked to write a song 'Hoe lieflijk' for soprano and cello to celebrate someone's 50th birthday. Cellist Douw Fonda and I recorded it at the Sarphatihuis in Amsterdam. A dear friend of mine asked me to write music to commemorate the death of his wife in August 2015. A very special occasion where musicians of the Nederlands Philharmonisch Orkest performed 'Orchis'. For the 'Appeltaart Concerten', a foundation organizing free classical concerts by the fantastic musicians of the Nederlands Philharmonisch Orkest with apple pie in the intermission, I composed 'Nachtegalen (Nightingales). It was inspired by the beautiful poem of Dutch poet ﻿﻿﻿Caroline Wiedenhof﻿﻿﻿. Here the Benjamin Franklin Trio performs at the ZIMIHC Theatre in Utrecht. 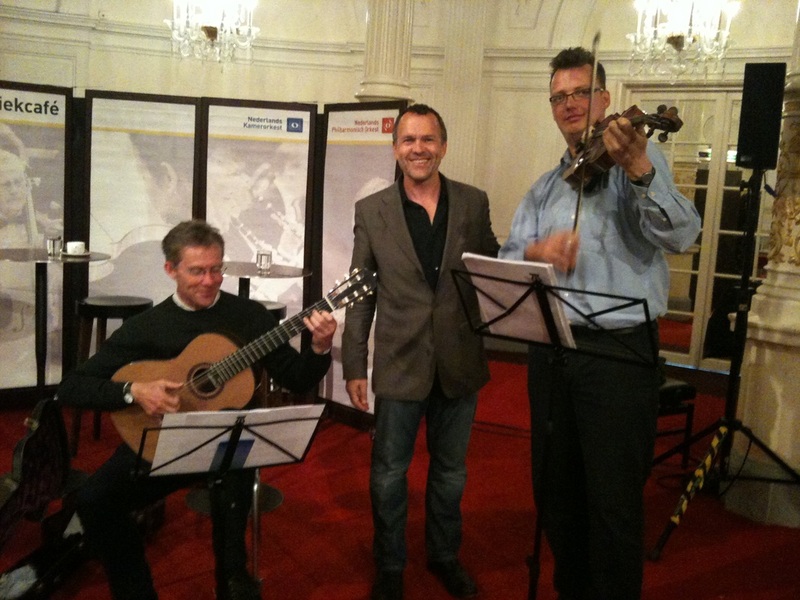 with Martin Kaaij, guitar, Michiel Holtrop, viola and Douw Fonda , violoncello. 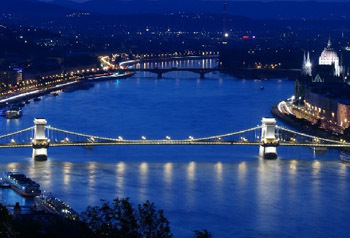 in Budapest, the first bridge to connect the Hungarian cities of Buda and Pest in 1849.
in Amsterdam on May 14, 2012. The piece requires a bit of acting from both players. Shy at first, then hearts open. A dance of joy, ending in a quiet embrace. For the Nederlands Philharmonisch Orchestra NedPho GO! I wrote a cycle for viola and guiter, to be played in hospitals, schools and elderly homes. Michiel Holtrop, violist from the NedPho, and Martin Kaaij, guitar, recorded the piece in Studio Moskou in Utrecht. Since the premiere in the Spiegelzaal in the Concertgebouw Amsterdam they have played it at least 80 times! 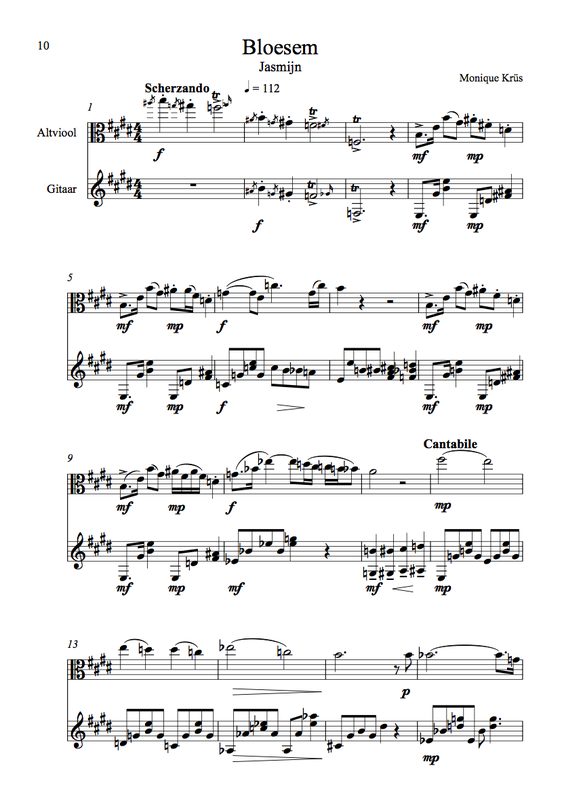 A transcription for viola and piano is in preparation. Versatile Dutch pianist Marcel Worms invited many composers to write a blues for him. The premiere was planned for the opening of an exhibition of Rembrandt paintings in Tunesia. 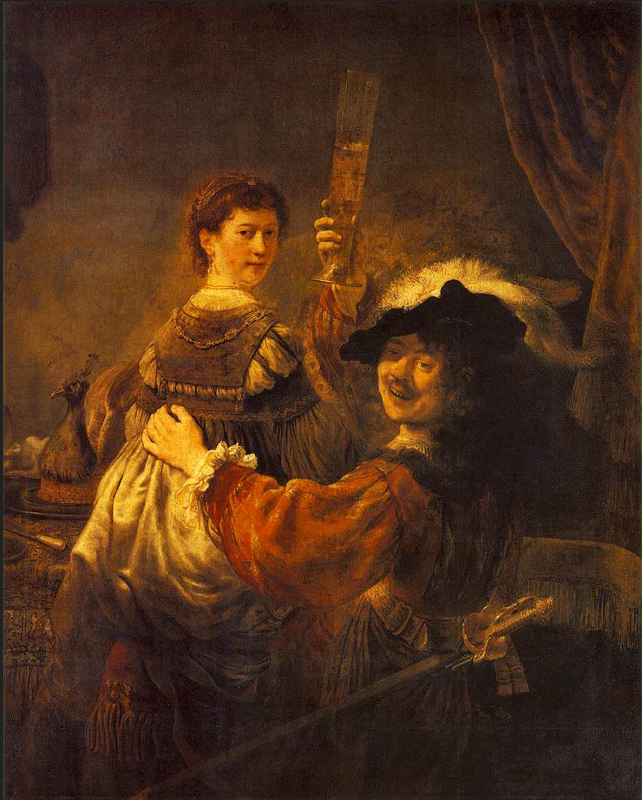 Rembrandt's love for his wife Saskia, who passed away at an early age, is the theme of the blues.